A wok is a versatile round-bottomed cooking vessel originating in China. It is used especially in East and Southeast Asia. Chinese gas wok cookers are specifically designed for Chinese cuisine. The cookers are hand manufactured from heavy gauge stainless steel with a tubular stainless steel framework to meet British safety standards. A constant flow of cold water across the cooking top keeps the surface cool and clean and preventing burnt-on deposits, and creates a comfortable working environment for staff. They are stylish and look good in a restaurant kitchen. 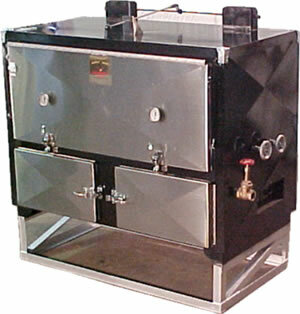 Chinese cuisine gas cookers are manufactured in various ring sizes.